The DSX-SIO L85 Wireless Interface is an interface based on Soft I/O (SIO) that can be used for Wireless Equipment Integration. The SIO L85 leverages Software and Virtual Hardware to accommodate Wireless Locks and Readers. Hundreds or even thousands of Wireless devices can be installed through multiple deployments of L85. 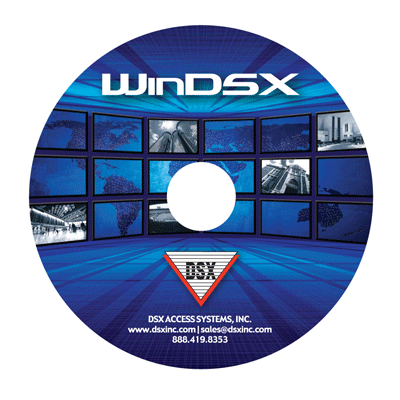 Wireless devices are a powerful addition to the DSX Access Control System. The DSXSIO L85 sets the stage for even more flexibility providing a fully integrated solution of both hardwired and wireless readers and locks. Wireless Devices are well suited for applications calling for a large number of doors such as College Dorms or any place where traditional hardware is almost impossible to install due to architectural constraints. High numbers of Low Security Doors with the need of supervision and online management is a strong point for the DSX-SIO L85. DSX-SIO L85 becomes part of any DSX Location through the use of IP/Gateway or a traditional network of controllers to include at least a Master Controller. The SIO L85 then communicates with up to 126 wireless devices mapping those wireless devices to Virtual Devices, Inputs, and Outputs defined in the WinDSX program. There is little difference in the WinDSX program between the hardwired and wireless devices and most operators won't know the difference. Just about any feature in WinDSX also applies to the wireless devices connected through SIO L85.